Check out this cool sketch of The New 52 version of Ronnie Raymond by Ethan Van Sciver! This was another item Ethan put up for auction on eBay recently. It sold for $70! What a steal! 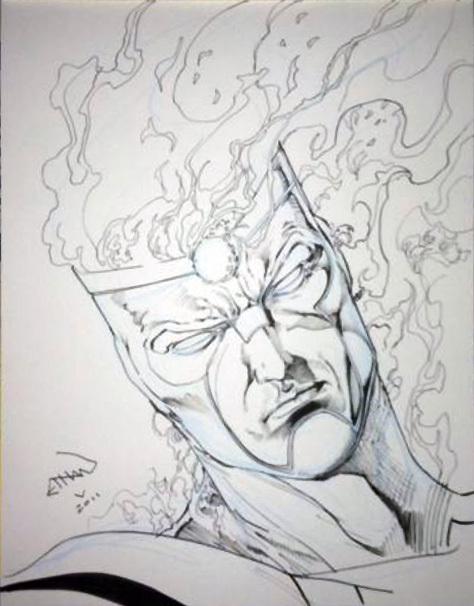 On eBay, Ethan mentioned he did this sketch in anticipation of the new Firestorm series! It was done in non photo blue pencil and India ink on 11 by 14 inch Bristol board! Thanks again to our good buddy Jon of the Firestorm-themed FIZZIT blog for the heads-up on this eBay listing! Be sure to check out Jon’s awesome Firestorm original art collection! Posted in: Ethan Van Sciver, Firestorm #09: New 52 v1 (Firestorm Protocols), Ronnie Raymond, Sketch/Art.